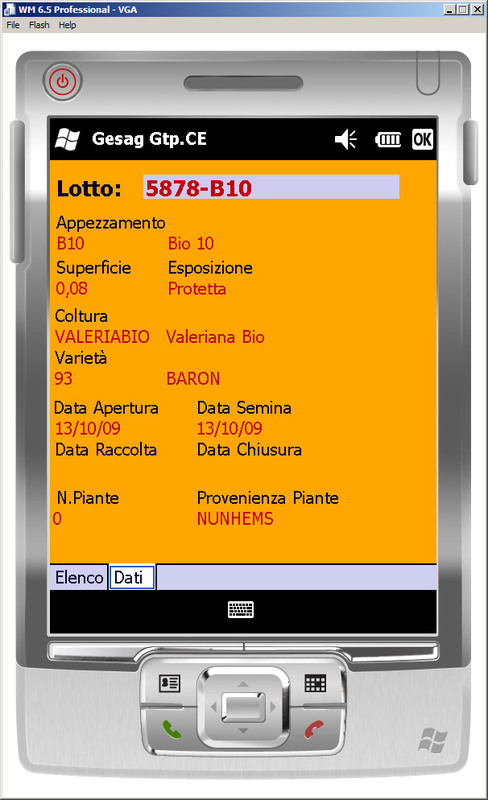 Good agricultural practice on the palm of your hand! 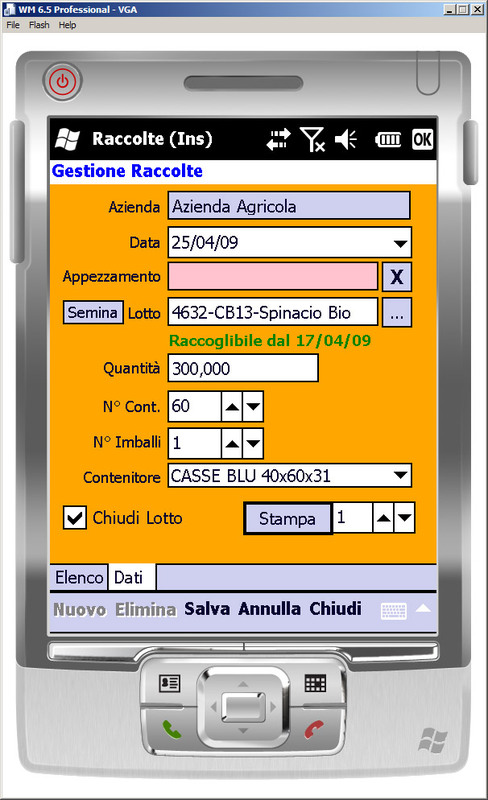 Gtp.CE is a software developed for Pocket PC handheld computers in order to allow growers to enter data about plots and crops wherever they are: in the field, in the greenhouse, on the tractor, in the wine cellar, in cold storage, etc. 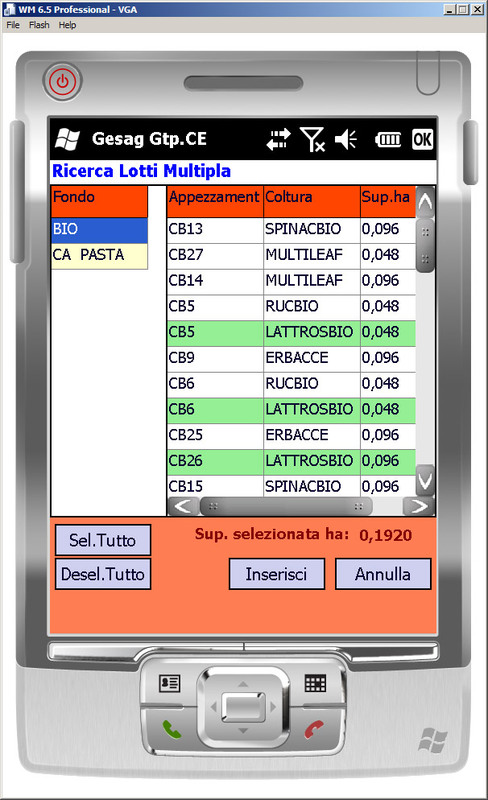 complete integration with the management software Gtp.agri. Gesag Gtp.CE, the agricultural intervention report on the palm of your hand! Gesag Gtp.CE is a mobile data acquisition software, designed to give farmers to collect all data relating to agricultural practices wherever they are. Often in agriculture it is necessary to act quickly and with accuracy, and it is not always possible to consult in the fields, greenhouse, wine cellar, etc., the information necessary for the execution of the different agricultural intervention. Technological evolution has led to the development of new Microsoft ® Windows Mobile ® handheld devices and smartphones: they are now smaller, lighter, more powerful, easy-to-use, and also have inbuilt GPS, GPRS and UMTS functions. Running Gesag Gtp.CE on these devices really means to have a handy management software that helps you reduce data entry time ad errors. Gesag Gtp.CE has essential but useful functions: once you have entered the company’s plots, it is sufficient to match any agronomic practice (e.g., soil preparation, seeding, fertilizing, crop protection, etc. ..), indicating the materials used (fertilizer, kind of seed, plant protection product ...) and the work is done. 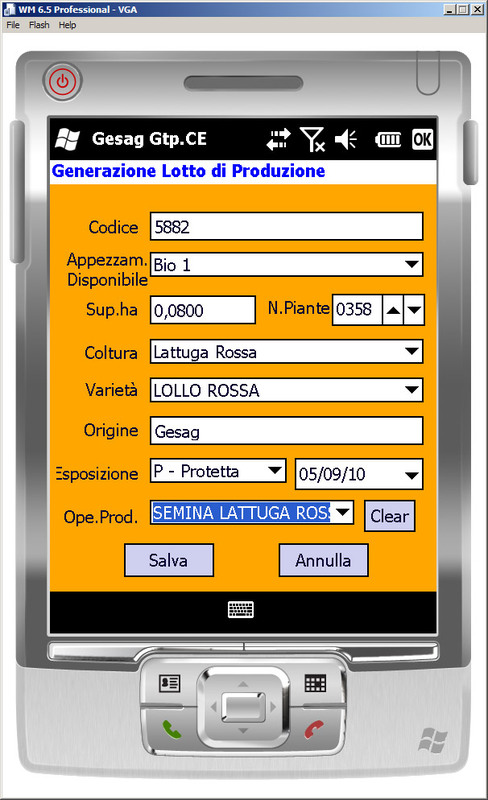 The particular structure of the software allows you to easily shift from a company to another within the same system and consulting production crops, plant protection products, fertilizers, seeds, plot in order to speed up and simplify data entry. 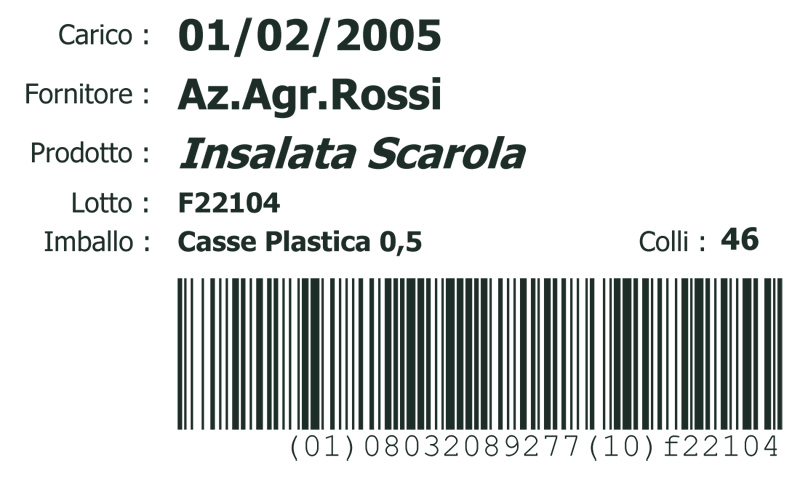 Gesag Gtp.CE also allows to print on the fly traceability labels connecting a portable printer via Bluetooth ®. 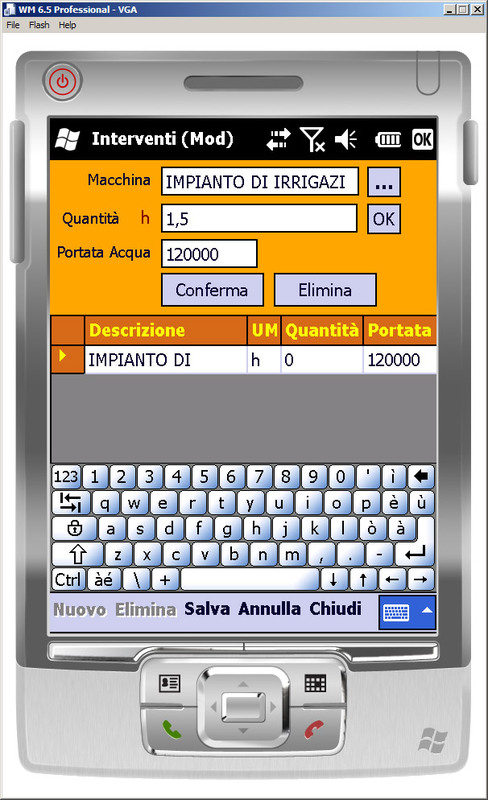 If you also have Gesag Gtp.agri installed in a personal computer, it’s possible to connect your handheld to download and synchronize data, in order to have all information required to fill in the agricultural intervention report. Finally it is the computer that follows the farmer! Gesag Gtp. CE was designed and developed together with the farmers to fit their needs, without forgetting to take into account the specifics of the hardware used. It’s the software that adapts to the user! Without realizing it, Gesag Gtp.CE have at their own disposal all the benefits of the software technology available nowadays to facilitate the production activities of the farm. 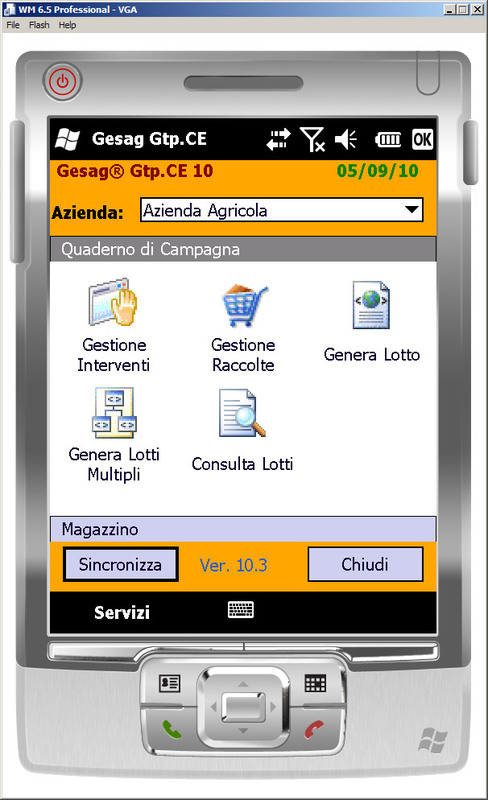 Gesag Gtp.CE is compatible with handheld computers equipped with the Microsoft® Windows Mobile® 6.5/6.0, Microsoft® Windows Mobile® 5.0, Microsoft® Windows Mobile® 2003 and 2003 Second Edition. Gesag Gtp. CE is based on Microsoft .Net technology and is widely customizable. Farms with high value-added products (vegetables, fruit, etc.). © 2004-2019 Gesag srl. Le informazioni contenute in questo documento sono soggette a modifiche senza ulteriore preavviso per migliorie sul prodotto..Tutti i prodotti e i nomi delle aziende sono marchi, marchi di servizio o marchi registrati dei rispettivi proprietari.